Don't touch that PBR! It's a trap! It got Metro wondering, if this is a way to control invasive species, what sort of bait would you need to set up a trap in New York's other neighborhoods? Park Slope: One bushel of kale, one organic fair-trade childrens jumper. Upper East Side: One pearl necklace, one gin & tonic, one pamphlet of yacht leasing information. Fort Greene: One issue of the New Yorker's "20 Under 40" list, one unclaimed "Bored to Death" spec script. Upper West Side: Two discount opera tickets, one copy of The Hypochondriac's Guide to Life. Isn't putting people into boxes fun? 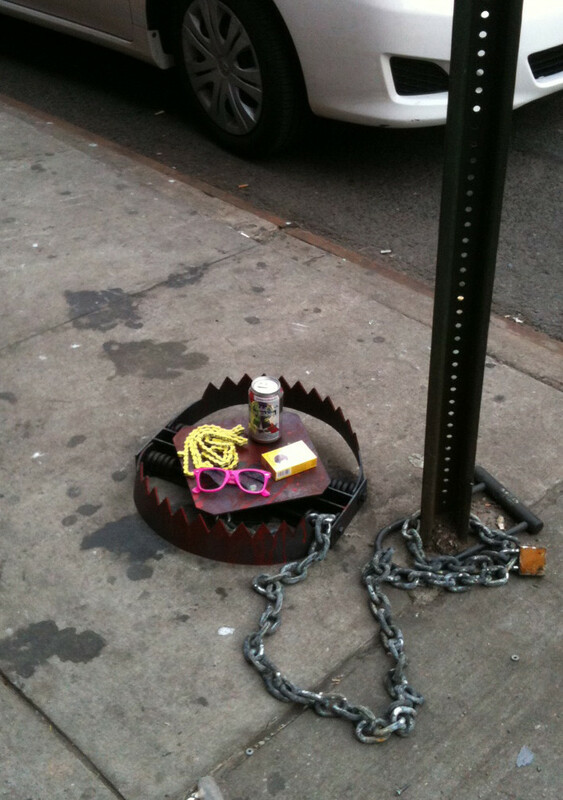 How would you trap your favorite kind of New Yorker?